In another time and another place, humanity has lost its grasp of its own destiny and now relies on alien races to help guide and lead them. While seemingly benevolent, each alien race has their own plans and uses humanity like a pawn to attack their foes. But in the darkness of outer space a colder and more malevolent force emerges tipping the balance of power. Test your faith in those who command and your ability to survive. 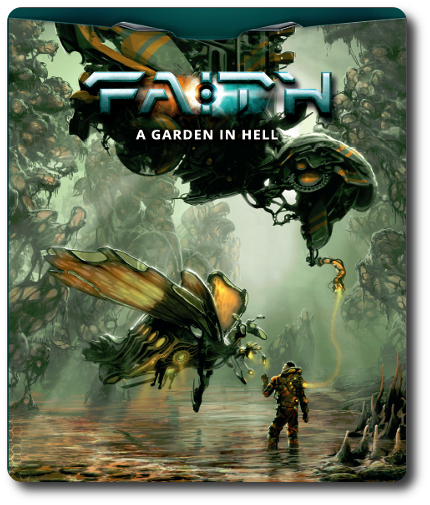 Faith: A Garden in Hell, designed by Carlos G. Q., Mauricio Gomez, and published by Burning Games, is a starter box set containing two decks of cards that represent different possible outcomes of encounters, dangerous creatures, and awesome technology. Included is a campaign book, rule book, premade characters, and large cards meant to represent enemies of serious strength. The artwork is simply outstanding and captures the true meaning of “alien”, as the images are both familiar and altogether unfamiliar, capturing elements of science fiction, fantasy, and spirituality. It should be noted, that while “faith” and “Hell” are mentioned in the game’s title, there is nothing relating to Christianity or any other mainstream religion in the game itself. The basis of faith in the game is in the player’s ability to overcome huge challenges and the player’s characters blindly following the will of alien overlords…if they so choose. The theme and narrative of Faith: A Garden in Hell is set in a futuristic alternative timeline where humanity has reverted to tribal organizations and is being taken advantage of by far superior alien forces. Above it all are new Gods that wage their own war using everything and everyone as pawns. 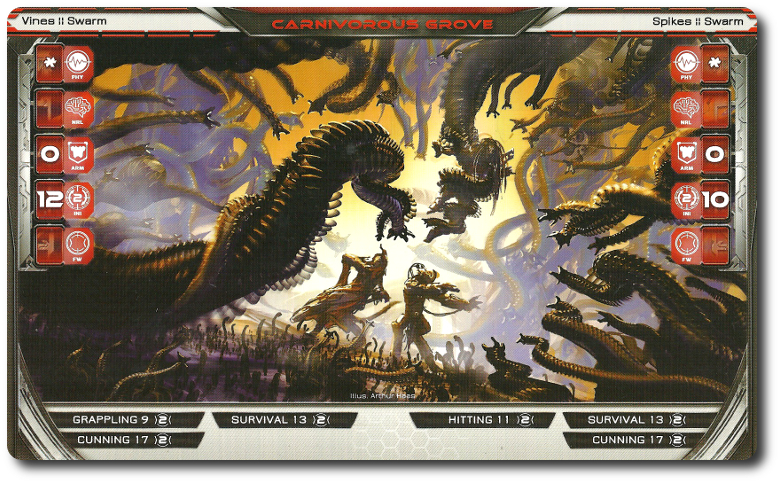 This creates an interesting dynamic for the Game Master to use, as they can play their campaigns as conflicts between races, conflicts between mortals and gods, or both. The stage for the stories is the known universe and beyond. Intergalactic travel is possible through a complex network of wormholes known as the Labyrinth. In game terms, this provides the Game Master and their players unlimited doors to kick down and rooms to explore. And by doors and rooms, I mean galaxies and planets. Anything you can think of is a possibility via the Labyrinth’s twists and turns, giving the Game Master unlimited freedom to design their campaigns to their own unique specifications. The races of Faith: A Garden in Hell are primarily the Corvo (humanoid insects), the Iz’Kal (aquatic mammal like race), enhanced humans who are basically pawns for the two previous alien races. There is also a mysterious fourth race known as the Ravagers that strip entire galaxies of DNA. The Corvo and the Iz’Kal have been locked in a cold war with a fragile peace between them, using the humans as their soldiers and missionaries, both attempting to conquer via warfare and through spiritual means. With the appearance of the Ravagers, old enemies become unlikely friends and the universe is out of balance. It’s in this type of surroundings that the players are injected. Safe harbor is difficult to find as even home bases are full of intrigue and subterfuge from hidden enemies lurking behind friendly smiles. Throughout it all incredible technology is made available and powers granted by the gods. Unreal foes and fiends lurk in the dark with so much power they could eradicate worlds. To suggest it’s a “dangerous place” would be like saying a man-eating shark is a “nibbler”. The narrative and theme of Faith: A Garden in Hell is bleak, yet full of promise. Horrific, but sprinkled with deposits of pure beauty. It’s a difficult game universe to explain but an incredible one to explore. Like most role-playing games, states and attributes are used to mathematically define characters. Agility, Constitution, Mind, and Dexterity are self-explanatory. There is also Link (ability to connect and use technology) and Faith (ability to connect and use the powers of their chosen god). Skills are also used that augment the base stats and abilities. As the game is set in an intergalactic war field, the skills focus on ballistics, close quarters combat, hacking into computer systems, survival, piloting everything from a small power suit to a giant starship, and whole host of others that are intended to both empower the player character and keep them alive. Tools of the trade range from hand tools to devastating weapons that use energy like a gun uses a bullet. Cybernetics are common and there are very few “human” player characters that have not been enhanced in some way. Suits of armor can be donned to enhance everything from the mind to movement. There are also robots that can be procured that act as non-player characters and team members in the party. At the heart of the game’s mechanics are a special deck of cards. Four suits are used to represents the universe. These are Wilderness (the untouched corners of the universe), Urban (the heavily modified and populated planets and even outer space), Space (the ambient chill and black emptiness that hides unlimited possibilities), and OS (representing technology in all its forms). 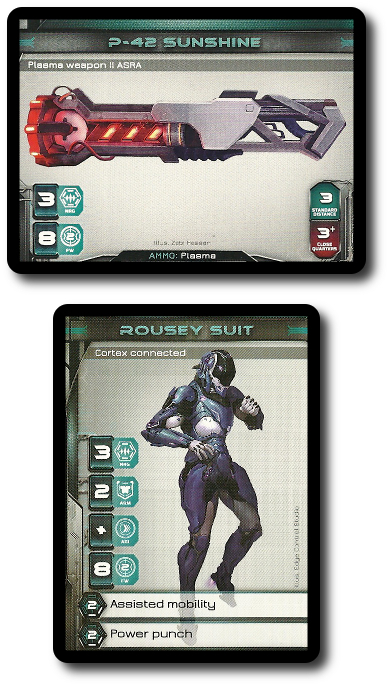 Using these four suits and their values (ranging from 1 to 13), players augment outcomes, alter fate, and bend the laws of reality to their will. Each card’s value is stacked and added to create a final outcome. But players must be cautious. The hand that fate deals them is always changing and nothing is for certain. More cards means more actions, but fewer means less possibilities and positive outcomes. A good hand today may result in a poor hand tomorrow. 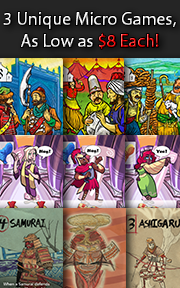 Through the cards, the game plays out its narrative as the Game Master interprets the cards used to further develop the story and its many challenges. The artwork is stunning. 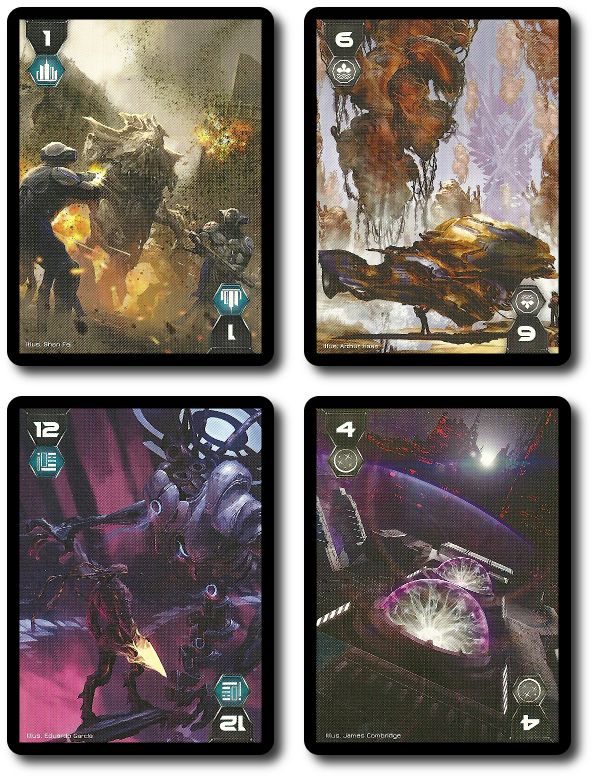 Determining initiative is based on a card from the player’s hand or a random card from the draw deck. The choice and risks are obvious. Pulling from the player’s hand reduces their overall stamina, but they get to play the card they want. Pulling from the deck does not reduce their character’s stamina, but nor do they have any control over what occurs. Simple enough, but the real fun is Confrontations. 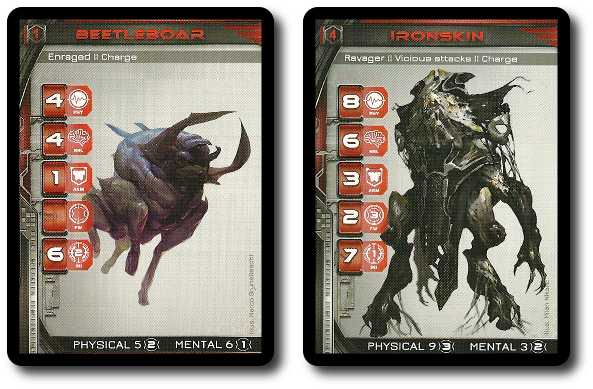 Cards are played for both the player’s character and the non-player character. Attributes, skills, and equipment augment card values and the overall outcome. Card after card is played until the Confrontation is resolved, leaving one victorious and the other defeated. As each card is played, the momentum builds, the danger grows, and the the balance between what can be lost and what can be gained tips precariously. It can be very dramatic and nail-biting. This review only highlights just some of the rules. There is much more to be discovered and learned. 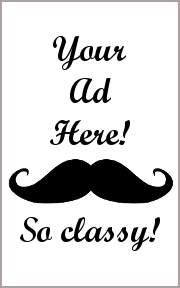 Visit the role-playing game’s website to learn more. We had to trim Faith: A Garden in Hell way, way back for the Child Geeks. There is a lot of complexity in the world that lives around the player’s characters. Too much for the Child Geeks to comprehend or make use of. As such, we relied on a simpler approach to the game and removed the political intrigue and religious warfare, replacing it with good old combat. In this the Child Geeks excelled. It took them a few tries and many explanations to get the system, but when they caught on, they were navigating the imagination landscape like old pros. The provided “Learn How to Play” does a great job of walking new players through the basics and introduces some of the more advanced rules. The game claims to be “great for beginners”, but I would suggest the game isn’t for those who have never role-played before. Faith: A Garden in Hell would be good for novice or casual role-players who have enough experience to understand how rules and the abstract world of the game interact before playing their first game. According to one Child Geek, “I understood the rules as they are a lot like other games I’ve played, but the hardest thing for me to picture is the world I’m playing in.” Being very descriptive in key and throwing out other-worldly and complex concepts is going to be necessary until players understand the world they are playing in. While this might seem like a challenge, themes and narratives can be introduced with ease leaving players with a feeling of deeper understanding of the rich tapestry they are helping to weave. When the games were over, the Child Geeks gave Faith: A Garden in Hell a mixed endorsement, with roughly half enjoying the game very much and the other half wanting to stick with their dice and more recognizable worlds of imagination. The Parent Geeks, all casual and budding role-playing experts, found Faith: A Garden in Hell to be an intriguing background in which to set their stories. According to one Parent Geek, “I love how much there is to explore in this game’s setting. Nothing feels out-of-place, and yet everything also feels alien. It’s difficult to picture a lot of what is being discussed, but that’s part of the fun of the game. Imagining the unimaginable countless encounters you will have.” Another Parent Geek said, “I feel like I have a great deal of control over my character which makes it a great game and also a really stressful one. If I don’t have the right cards, I can’t do what I want, but I can always do something. It made me think of each of my actions during Confrontations and talk a great deal with my other players to determine the best possible approach to the challenges.” This last point is worth emphasizing. Because players are both limited and empowered by their hand of cards, they need to share information constantly, discuss strategies, and work out tactics. When the games were over, the Parent Geeks all voted to approve Faith: A Garden in Hell. The Gamer Geeks very much enjoyed the game’s mechanics and found themselves discussing in great detail how they would approach challenges and overcome obstacles. According to one Gamer Geek, “The game really focuses in on the player and challenges them to make tough choices. The best part of the game is the interaction with the other players as you build your plans and execute them as a team. You can’t go wandering off on your own in this game. You have to stick together or your character will die in horrible ways.” Another Gamer Geek said, “The game’s theme and narrative are interesting enough, if not overly heavy with just about everything you can throw into it. It actually feels like every science fiction story I have ever read – or will read – thrown into the game with just a hint of fantasy (in the same way Warhammer 40k has hints and suggestions of fantasy elements) and the paranormal. Mostly because everything is so alien. But where the game really makes an impact is the way it uses cards. Players get to take direct action, really take control, and face the game on their own terms.” All the Gamer Geeks found Faith: A Garden in Hell to be a fun time and voted to approve it. The universe of Faith: A Garden in Hell will be difficult for new Game Masters to navigate. So much of it is currently left up to the Game Master’s imagination that much of what is provided in the box material feels somewhat abstract at times, rather than a concrete baseline on which to continue to build a campaign. For those who are well skilled in the art of role-playing, I do believe they will find Faith: A Garden in Hell to be an intriguing mix of politics, mysticism, futurism, and science fiction. There is also a subtle hint of fantasy involved as the locations that can be visited and explored are very colorful and rich with a strong sense of history. As I said, it’s an interesting mix. But that might also be one of the game’s biggest issues for our players. The game feels like “everything you ever knew about science fiction and fantasy” thrown together, blended, and served with a very colorful garnish. It works, make no mistake, but it also feels somewhat detached from itself at times. Almost as if the game cannot decide how it wants to presents itself, so it does the next best thing by attempting to be all things to all players. Here is where it gets tricky. For any player who has not experienced science fiction or fantasy role-playing games, Faith: A Garden in Hell is going to be a tremendous and sometimes arduous introduction into the genres. On the other hand, those who have played both science fiction and fantasy will feel right at home. I had a very hard time putting my finger on it for days and days while I watched players both enjoy and struggle to envision the world they were being presented. In the end, I believe the fault lies not on the material the game presents but the incredible depth in which is provides. It can be very overwhelming. This is not a basic game. This is not a game for the casual player, either. It’s complex, deep, vast, and best of all, unlimited. That makes it big – real big – and that is intimidating. The game is aptly titled. In an endless cosmic ocean of danger there lies small beautiful islands rich with theme and narrative. It’s the distance between the thematic and the actionable in the game that can be difficult to grasp or even to hang onto as the game world expands and grows. The players have a lot of catching up to do in a universe that is very cold and indifferent some of the time and hostile most of the time. In many respects, the player’s characters are slathered with BBQ sauce and dumped headfirst into a lion’s cage with nothing more than a word of “Good Luck”. Should you try it? Goodness yes. If nothing else, the game mechanics are refreshing and make players think rather than mindlessly rolling dice hoping for random positive outcomes. A great deal of power is given to the player and the characters they use to explore the richness of the Faith universe. While I would not go so far as to say that Faith: A Garden in Hell is breaking new ground, I can equivalently state that the game feels new with many recognizable elements placed to create the foundation on wich the game and its thematic narrative is built. A good experience for everyone, even if most of the time game feels like a meat grinder eagerly waiting for the next Player Character to trip and fall into the gears. Tagged Cooperative Games, Gamer Geek Approved, Parent Geek Approved, Role-Playing Games, Science Fiction Games. Bookmark the permalink. This is an excellent, detailed review. Thanks for continuing to take the time to do these!